Case: satin-polished steel. 39 mm diameter. Steel bezel set with white diamonds (66 stones totalling 0.99ct). 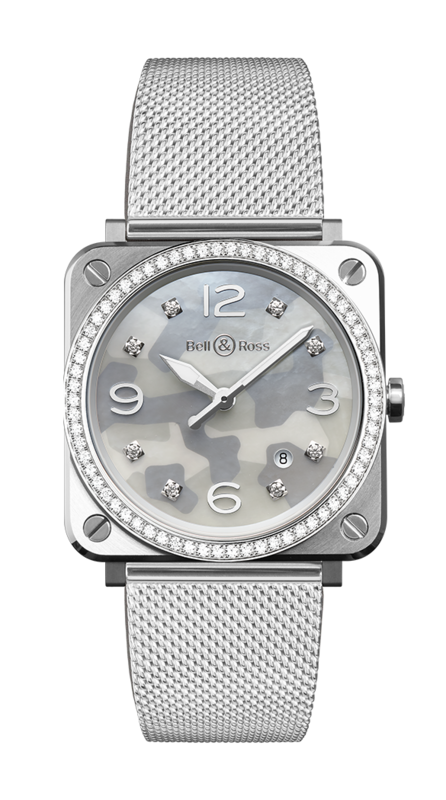 Dial: grey camouflage patterned mother of pearl. Metal appliqué numerals and diamond indices (8 stones totalling 0.12ct). Metal skeleton Superluminova®-filled hour and minute hands.